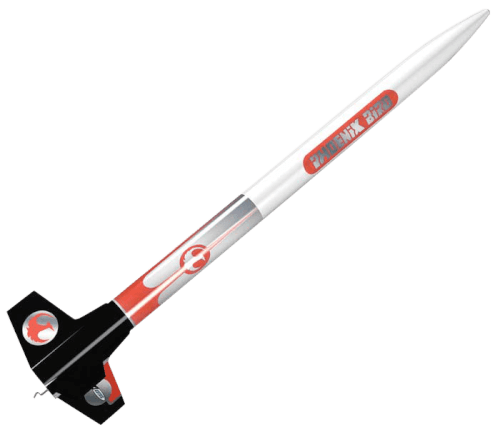 New to Rocketry ? Looking for a Gift ? Standing 2 feet tall, the Phoenix Bird is the perfect big kit for the beginning rocketeer. Simple construction gets this Bird to the launch pad in a hurry. Everything about this kit is cool! From its simple construction to the really neat self-stick decals, the Phoenix Bird launches on standard Estes engines and can reach 550 feet.